One day, Lin told her boyfriend at the time 11 years ago in Taipai that she felt unwell and went to the emergency room. While there, she suddenly fell into a coma. When she woke up, she was told she had severe blood loss. Lin had been given 10 bags of blood, but also two bags of separated platelets which saved her life from her abnormal coagulation function. “If it were not these blood cells, I may have died,” she said. 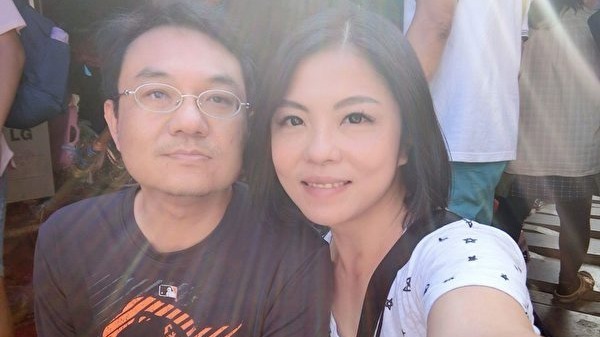 Although the age difference between them is 10 years, there was always a quiet connection, and after dating for two years, they became husband and wife, continuing their predestined fate.